What a year it has been for the Big 12 Conference and the NFL. I think back to one year ago today, Super Bowl LII, when Nick Foles led the Philadelphia Eagles to a win over the New England Patriots. During the game, NBC analyst Cris Collinsworth introduced the phrase RPO (run-pass option) to the casual NFL fan, who had no idea what was going on. Of course, every Big 12 fan, and most college football fans, knew what it was all about. But it was a scheme that was seldom used by NFL teams prior to beginning its integration the last couple of seasons. During the game, Mike Gundy tweeted out the significance of what he was watching. 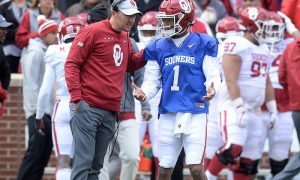 Gundy took it one step further a few months ago, alleging to Albert Breer of Sports Illustrated that the NFL has started specifically watching their game tape and implementing various plays and schemes. Well as the season went along and Patrick Mahomes took the NFL by storm, leading the Kansas City Chiefs to the No. 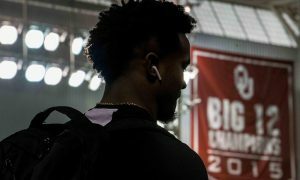 1 seed, becoming the first Big 12 quarterback to win a playoff game, and a couple of plays away from the Super Bowl, while Baker Mayfield gave the Cleveland Browns life for the first time in decades. 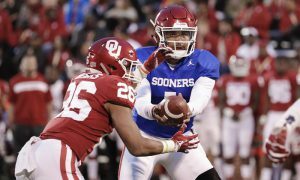 Mahomes went on to win the MVP award, and Mayfield, many believe, was snubbed as the Rookie of the Year. 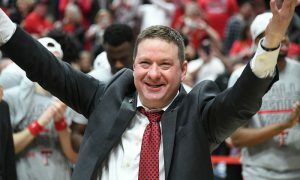 Then there was the unexpected news when Mahomes’ former coach, Kliff Kingsbury, who was fired by Texas Tech after having a career sub-.500 record, was hired as USC’s offensive coordinator, but then was tabbed to be the next head coach of the Arizona Cardinals. Yep, welcome to the NFL. Suddenly, the Big 12 is no longer viewed by the NFL as the most gimmicky of the Power 5 Conferences. 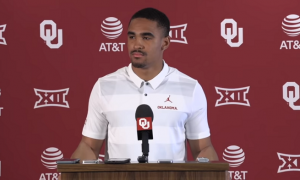 Their quarterbacks are two of the most talked-about players in the league, while plenty of their coaches are getting hired, a la Kingsbury, or getting serious consideration at the next level, like Baylor’s Matt Rhule and Oklahoma’s Lincoln Riley. Interestingly enough, when I look around the NFL, there are three Power 5 conferences that stand above the rest when it comes to young quarterbacks making a difference in the league. And they’re not the three that you expect. It’s the Big 12, the ACC and the Pac-12. 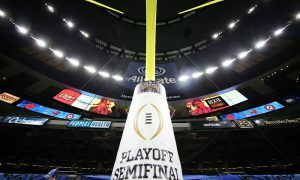 Often times, the SEC and the Big Ten are viewed as the “supreme conferences” in college football. A big part of that is media bias, but they also end up with the most NFL draft picks to, in some ways, confirm a portion of that bias. However the top young quarterbacks in the NFL reside from the other three conferences. 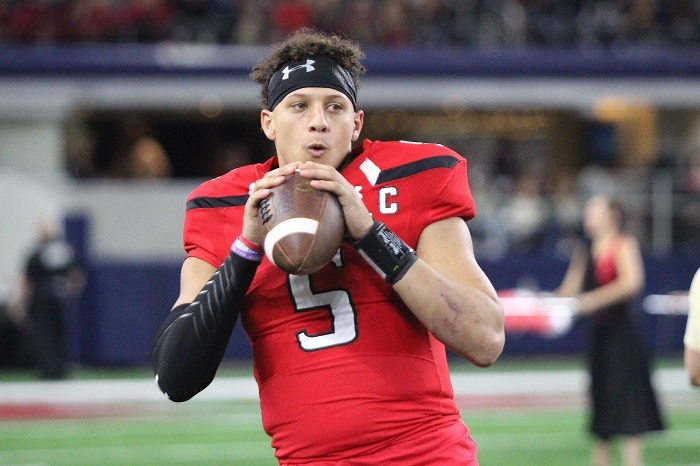 We’ve already talked about Mahomes and Mayfield, but then go to the ACC, where Deshaun Watson and Mitchell Trubisky both played, and the Pac-12 with Jared Goff and Sam Darnold. The SEC and Big Ten is no where to be found. Sure that could change in a couple of years with Tua Tagovailoa and Jake Fromm, but it’s far from a sure bet. 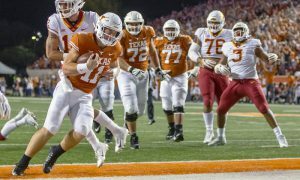 So while the Big 12 Conference certainly has lots of momentum behind it thanks to the Oklahoma Sooners making the last two CFB Playoffs and winning each of the past two Heisman Trophies, the Texas Longhorns surging for the first time in a decade, and up-and-coming programs with up-and-coming head coaches at Iowa State and Baylor, plus veterans with stable programs at TCU and Oklahoma State, the icing on the cake has been the success key players had this past season in the NFL. It’s another tool that should be and can be used by coaches on the ever-competitive recruiting trail. Strike while the iron is hot, and when it comes to the relationship between the NFL and the Big 12 Conference, it’s never been hotter.